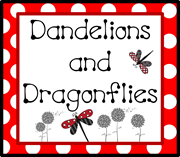 dandelions and dragonflies: Interactively Math! Your journals look great. Thanks for sharing your pictures. I really love the idea of using an M cutout for LCM. I love this! Thanks for the pictures. SO wish I learned math in this manner in 5th grade! This is AWESOME!!! Thanks so much for sharing! I'm a home-schooling mom and these journal pages provide a lot of inspiration. wow, great job! your notes are neat and simple for students to keep up with. Do the students bring colored pens as their supplies? I would prefer them to use pencil in math but I love the use of different colors to highlight specific processes. Thanks for sharing. Love these! We already use interactive notebooks at my school, but I will definitely be adding these notepages to our math notebooks next year! Thanks for sharing! As a student teacher, THANK YOU! I am new to your website and am absolute awe!! I have been out of the classroom for a few years, and am currently looking for teaching position and all of these ideas are awesome! I love the interactive math notebooks. Could you explain more about them? Do the kids have their own colored pens? Do you project your notes on a Smartboard or projector for the kids to follow along? 1) For Factor Rainbows, how do you fit in the odd factor when you are factoring square numbers? 2) How do you use these notes interactively? How much is provided to the students before you begin? Thanks. I have used interactive notebooks for a few years now and I'm wondering how you include vocabulary in your INB? In the past, I have included vocab as we went (along with a word wall), but am wanting the students to keep their vocab altogether. I'm thinking at the front of their notebooks. What have you tried? Thanks so much! Hi! I love these notes that you created!! I am a first year teacher in fifth grade and was wondering if you could explain how exactly you use these notebooks interactively? Do you just no he student one piece at a time, you explain, hey listen and copy?? And do you have a vocabulary page?? Thanks for sharing, great ideas. I know this is an old post but some of your picture links are broken. Do you still have the pictures? I'm a new teacher and I like how you wrote out the notes. This is exactly what I was looking for! Fantastic visuals for teaching how to divide/multiply decimals! Thanks so much! @Maren Haws...I checked and the pictures are showing, what type of device were you using to view them? Is there any way I can purchase and download your entire notebook? I'm specifically looking for your section on fractions. Pls help. Thank u!!! Thank you so much for sharing , I am not a math teacher but you have explained the concepts beautifully. I was going through the multiples and factors to teach std four children. You must be a great teacher! A hint to help my students with factors and multiples: "Factors are Few. Multiples are Many." Hi do you do the journal writing on the side of the notes as well? I have tried,but found that it takes up much time and I am having a hard time seeing the value in students doing that part. I love your notebook! Thanks so much for sharing these! They are so clean looking and would really help my students! I can't wait to use this idea next year! JN...what you see in the pictures is exactly what my students do. I model what I want their notebooks to look like. When we work on Exemplars and Performance Tasks is when the students do more journal type entries. Thank you can't begin to cover what this can offer my three children struggling to learn math concepts. All three have some learning disability and traditional teaching has not fully taught them math. I am saving this and using it to bridge the summer gap for my kids. Schools need to use this for all learning styles. A big THANK YOU! Thank you. This will help me help my 5th grader!!!! I LOVE your notebook! I don't love all the cutting and gluing and wasted time with interactive notebooks, but this is perfect. I am definitely doing this next year. I wondered if you had any more pictures or a bundle for sale or anything? I would love to see more.